Our mission is to develop truly innovative services online. In the past three weeks, we’ve used this site to collect ideas and received nearly 300 of them – more than we expected. We never intended to just run with them and we will now post summaries, each focusing on one theme or group of ideas. This will feed into our own idea generation process, the result of which we look forward to bringing to market. Guys, look behind you. I think alot of us feel we could have saved you a lot of blood, sweat, tears and white board markers by guessing this would be the shape of the answer before the team was formed. But also more important, to generate a relevant future path for your excellent newspaper, have a look at the newspaper itself. What do people like about it? They like that it distills complex issues for quick digestion but without dumbing them down. It is the opposite of blogging. One thing which is telling. In the shortlist of potential solutions to their problems, is a list of other people’s solutions to other problems. Do they “do a facebook” or “do a wikipedia”. Well, how about they “do a Ted Talks”. The founders at Ted realised that the web is just a facet of what they do, it is not what they do. Users don’t perceive value in media selection but in content, connection and ideas. Perhaps the team’s mission was too grand. As far as I can see, a bit of fine tuning of the newspaper’s site and emails would be enough to keep them on course. You once followed developments at The Economist’s Project Red Stripe. We’re about to publish a book about it. Called Inside Project Red Stripe, it’s published conventionally (www.triarchypress.com) and, over the next few months, online (projectredstripe.blogspot.com). It’s an account of the six-month project and we think it’s a good guide to innovation and teamwork in business and the media. 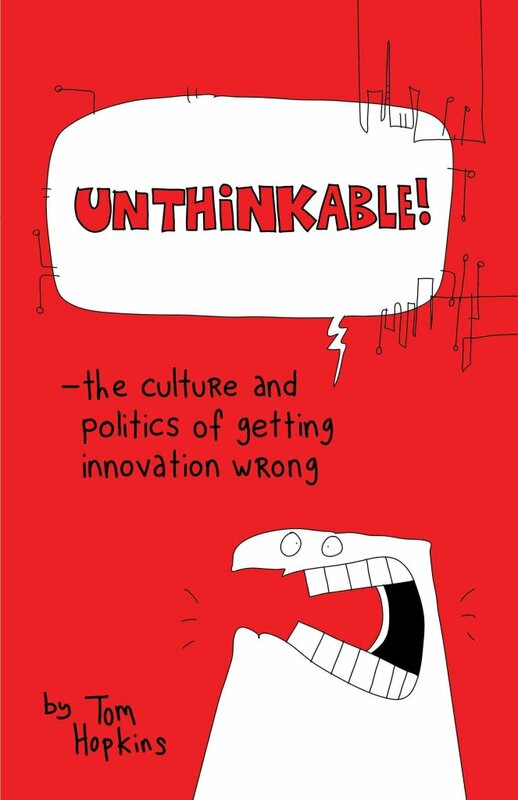 Each chapter identifies dilemmas that are likely to face any innovation team or project. I hope you’ll find time to have a look and that you’ll find it interesting.